iPhone users that elect not to use iCloud storage will be pleased to learn that another source has thrown its weight behind at least one iPhone 7 or iPhone 7 Plus model having 256GB of flash storage. NAND flash vendors have increased chip prices citing strong demand for new smartphones particularly the iPhone 7 featuring up to 256GB of storage, according to industry sources. Prices will keep soaring until the fourth quarter of 2016. In July, The Wall Street Journal confirmed the iPhone 7 will start with 32GB of storage, replacing the infamous 16GB base tier offered since the iPhone 3GS. Accordingly, the new storage options for the iPhone 7 could be 32GB, 128GB, and 256GB, but it remains unclear if the 256GB tier will be exclusive to the larger 5.5-inch model as some sources have indicated. 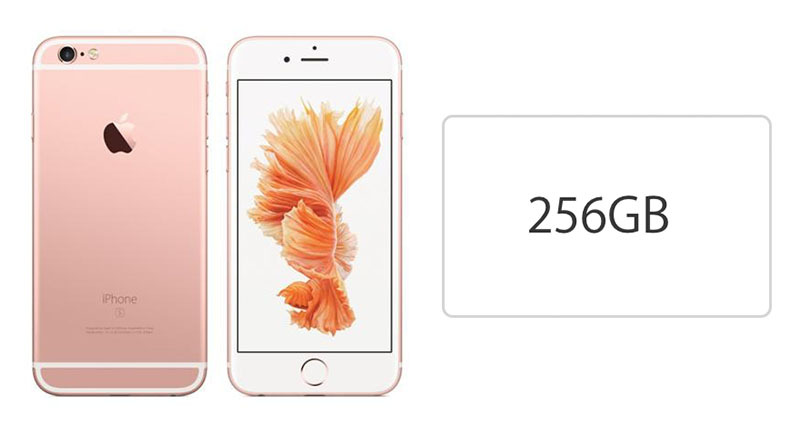 The current storage options for both the iPhone 6/6 Plus and iPhone 6s/6s Plus series include 16GB, 64GB, and 128GB, with the 16GB base model in particular drawing the ire of some customers who have long hoped for a larger capacity at the entry-level price point. This year, it appears that Apple has finally acknowledged the desire for larger storage tiers at both the top and bottom of its iPhone lineup. Damn 256GB? I'm going to need another hard drive on my computer just to back up my back up. But Samsung has UFS storage. Very good point! Although there are a lot of criticisms floating about lately about Apple's rMBP line not being updated, I still think they're the finest portables on the market. The main criticism I'd argue would be the storage capacity and high price of storage upgrades. Wow, that's a lot of internal storage for the iPhone! My storage needs are rather meager in comparison. I was quite happy with the 32GB iPhone 5s when I had it. Now I have the 64GB 6s only because 32GB wasn't offered any longer. 16GB was too small for me. But most of my storage needs aren't necessary beyond the 32GB since my music and video is streamed rather than stored. However, for those that need more storage, 256GB should suffice I hope! Thank the lord. Everyday is a struggle with my 16gb, deleting pictures, apps, etc is almost a daily occurrence. Nothing is worse than going somewhere and trying to capture an important moment, but not being able to take a video/picture (out of storage again!) because Apple had to be stingy with the memory. It makes me smile some what that I have a 10 year old 1st gen 256GB iPod mini (owned from new)!